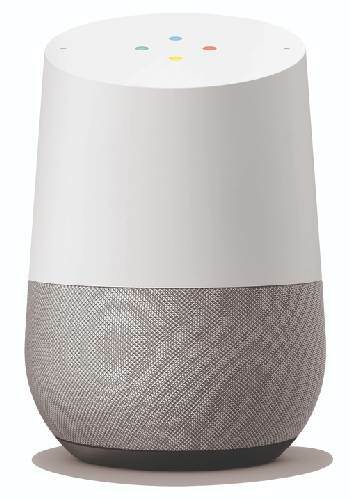 "Google Home" is the name brand created by Google to represent their entry into the new and exciting market of Smart Speakers. These speakers are 2-way, allowing users to enter voice commands or ask questions of a virtual personal assistant, named "Google Assistant". Google Assistant was developed to have a clever and engaging personality, as well as have access to Google's vast information database. (S)he also can learn to distinguish between six different user voices, tailoring her answers, somewhat, to the individual. 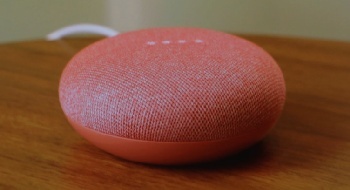 Google has developed (and allowed third-party designers to contribute) a large number of varied services for their Home smart speakers, including streaming of music and videos, current news, weather and sports information, organizing calendars, reminders and shopping lists, controlling household appliances, as well answering queries. You can place Google devices in multiple rooms to set up synchronized streaming of music throughout your home. Awesome effect! 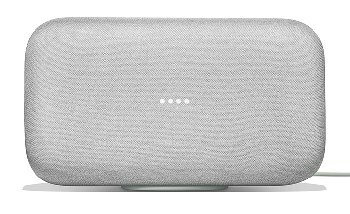 Google's speaker devices currently include the Google Home (original), the Google Mini, and the Google Home Max, with an upgraded and outstanding speaker system. The photo above shows these three products. You will find more data and ordering info below. 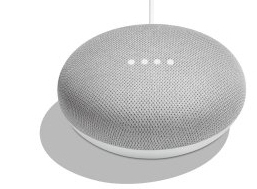 We are focusing here on the Google Mini, as that is the model we have; however, the functions described below are also integrated into the other two Home smart speakers. *For some interesting and Fun things to ask Mini: Hey Google. Bluetooth; although you can't link Mini out to a Bluetooth speaker, you can link to it as a Bluetooth speaker itself. Interacts seamlessly with Google's Chromecast digital media players. Weather forecasts; pick your favorite weather service, they all have apps. The Google Mini can act as the central "hub" for Household devices with "smart" capability. Once set up, you can interact with and control lights, outlets, home security, thermostats and more, via voice commands. Household smart device brands which support Google devices include: Nest, SmartThings, Philips Hue, LIFX, Lightwave and Logitech Harmony. 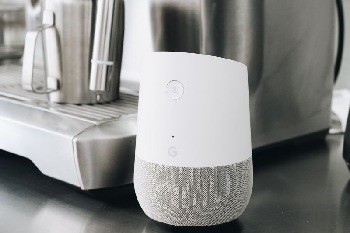 These are some recommended household devices and appliances which work well with Google Smart Speakers (as well as Alexa Echo): Smart Home Devices. 9.19" x 3.79" x 5.62"
Dual 4.5" woofers and two tweeters. Ya'll bored? Entertain guests with your Google Assistant by asking these questions: Hey Google! Visit here for some great smart home devices that work with Google devices. Learn all about Google's direct competitor, Alexa Echo. And lastly; our honest reviews addressing Echo Dot vs. Google Mini.